Modifications: If you don’t like Coriander, Dill is a good substitute. If you don’t have fresh herbs available dried Parsely or Thyme would also be good for adding flavour. 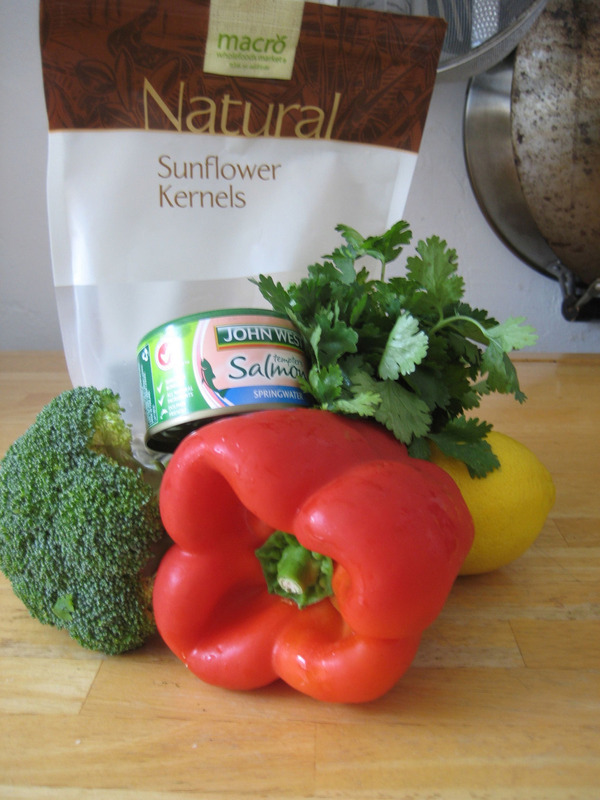 If you don’t like canned Salmon, poach a piece of Salmon prior to cooking the Broccoli, then remove from the pan and set aside, then cut into small pieces or flake over the Broccoli.